Experience hands-on demonstrations of the latest tension control equipment from Dover Flexo Electronics (DFE) at booth 3134. The new feature-packed SteadyWeb6™ tension controller will be launched at Labelexpo Americas 2018. 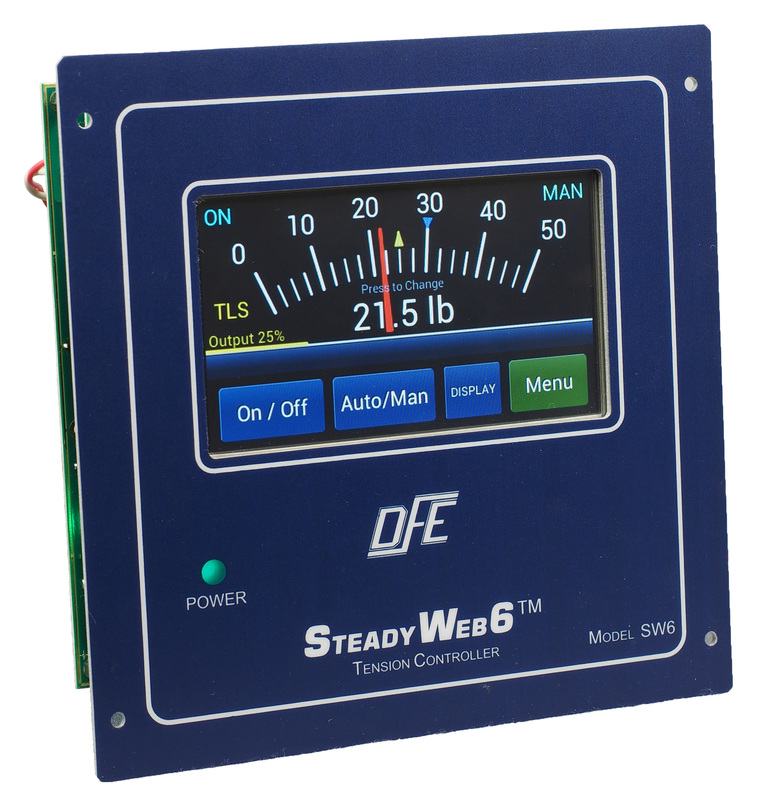 This is an easy-to-use, closed-loop automatic tension controller with a back-lit, color, touchscreen interface. The SteadyWeb6™ holds your desired web tension constant to ensure better finished labels and wound narrow web. DFE will also show the NW™ Narrow Web Tension Transducer, a robust cantilevered tension-sensing idler roll for narrow web applications. The meter display option is perfect for conserving space on a cantilevered narrow web press.